Facing some kind of big decision? College? Career? Marriage? Buying a home? Proud that you’re faithfully following the decision-making advice you learned from your elders — parents, teachers, whatever? Well, too bad for you! If those people gave you any advice at all — many times they don’t—it’s likely to be the same simplistic advice that they got from their elders: some folk wisdom whose limitations have been exposed by decades of research on decision-making. Author Steven Johnson is out to change that. He’s on a crusade to remind parents and teachers and other leaders it’s time for them to upgrade the quality of their advice concerning wise decisions. 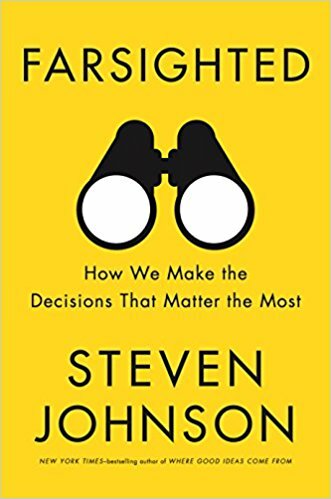 In an entertaining, fast-paced interview on NPR’s 1A, Johnson discussed his new book, Farsighted: How We Make the Decisions That Matter the Most. The interview and the book provide a basic introduction to modern research on decision-making. More importantly for the average reader, Johnson shows the practical implications of this research: you’ll see examples ranging from the Navy Seal raid on Osama bin Laden to making decisions about climate change to coming to grips with whether or not to move across the country. In anticipation of the Halloween holiday, you might want to check out a vintage edition of NPR's Science Friday. Ira Flatow interviewed top-notch scientists and writers about the stories that play so important a part in Halloween rituals. Earthquakes, terrorist attacks and muggings have all scared people to death. Sporting events, too, sometimes cause frenzied fans to drop dead. Neurologist Martin Samuels of Brigham and Women's Hospital explains how positive or negative excitement can lead to a heart-stopping surge of adrenaline. Next up, the science of monsters. Like most myths, there are some real-world phenomena behind the stories...consider the limitations of the vampire... His power ceases, as does that of all evil things, at the coming of the day. It is said, too, that he can only pass running water at the slack or the flood of the tide. Then there are things which so afflict him that he has no power, as the garlic that we know of, and the crucifix. Where did these legends come from, the vampire's aversion to garlic, sunlight and running water? Are they just folk tales or is there something factual, something there behind them? 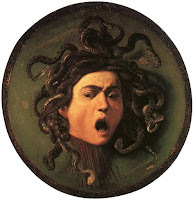 Believe it or not, there have been scientific papers written on the subject, as my next guest writes in his new book, "Medusa's Gaze and Vampire's Bite: The Science of Monsters." Very entertaining and informative for adults and kids. Enthusiastic guests, funny gory stories and great science - it's enough to inspire your middle- or high schoolers to take on one of these topics for a paper or project, so don't be afraid to share with kids. Remember! Paradoxically, forgetting can be good! It was May, then early June. Helicopter parents were getting knots in their shorts as teachers — who already sported knotty undies — performed the annual ritual warning about how much kids would forget before school resumed in the fall. Now it’s August. For the kids who didn’t cram more into their heads, it’s another wasted summer. Yadda, yadda, yadda — additional failure. 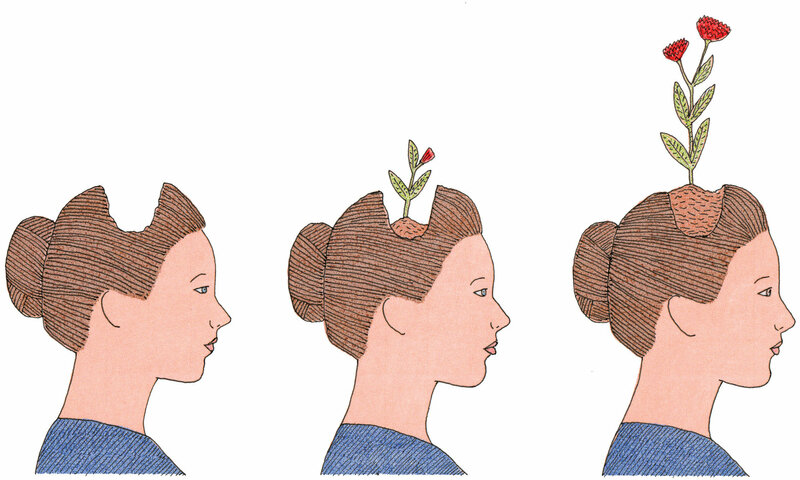 Those worrywart parents and teachers might have had a calmer summer had they known more about the paradoxical benefits of forgetting. Most prominently, he reminds us that forgetting plays a crucial role in the development of wisdom! As we pass time to forget inconsequentials, we give ourselves a chance to develop a deeper understanding of the stuff we do remember. Since we’re hardwired to selectively forget certain types of things, it’s important for us to learn to creatively work with those forgetting operations rather than against them. A Bigger, Testier Supreme Court? New tools for analyzing cultural change. Corporate documents are an important source of information concerning a company's values, sentiments and general culture. Policy statements, memos, the company motto, training and procedural manuals, press releases - all these reveal how the organization sees itself, its employees, its responsibilities and its place in its social milieu. There's never been much controversy about whether or not some attention should be paid to these documents in the course of a cultural audit. Where has been controversy, it's been primarily about how to parse documents rather than whether to parse them during a particular piece of research. By far and away, qualitative analysis has always been the most common method for dealing with company documents. Researchers examine the documents in a more or less formal way and look for themes, attitudes, values, whatever in a more or less systematic manner. The main problem with this method is that it opens the door to unrecognized biases and subjectivity as the project continues. Quantitative analysis has been used much less frequently. On the one hand, it's long been recognized as a powerful method that can uncover important information that is overlooked by qualitative methods. It can also neutralize sources of biases and subjectivity. On the other hand, it has historically been very expensive and time consuming, since it requires considerable coding and categorization and scoring to generate its reports. In a practical situation, then, the cultural analyst had to choose between a method that was relatively quick and inexpensive or one that was more difficult and expensive. Now that situation is changing as the technology for mining "big data" becomes increasingly available to many different kinds of organizational researchers. A good example: Adam Liptak - reporting about Supreme Court opinions - talks about a new "cottage industry of quantitative analysis of Supreme Court opinions using linguistic software."